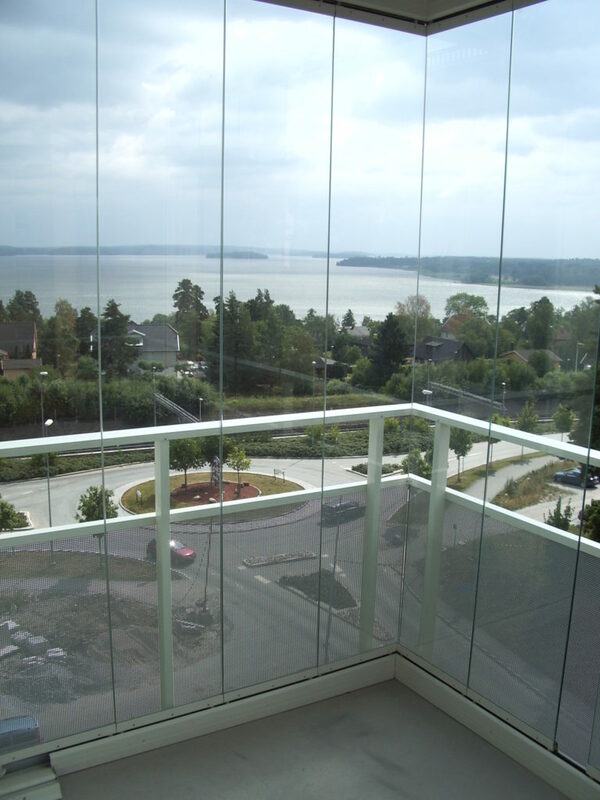 snow, rain, hailstorms and cold northern winds. 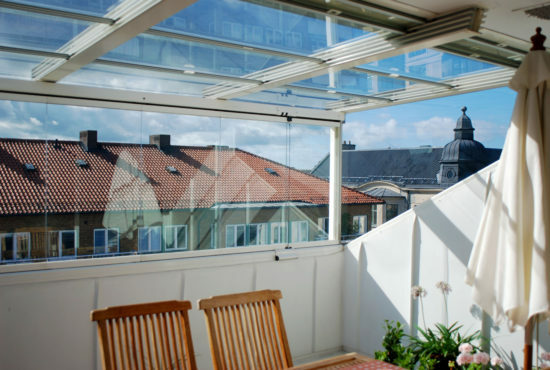 And whenever you wish you can open up the balcony glazing system, to let in the sunlight, warmth, fresh air and birds song. 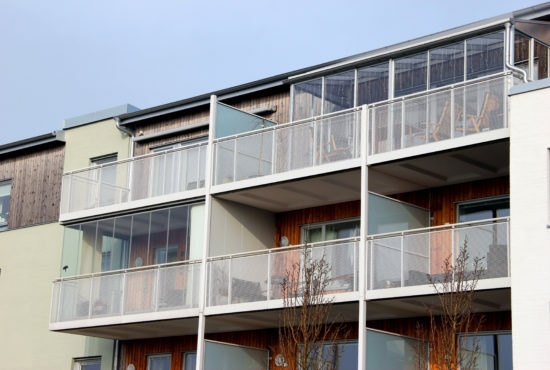 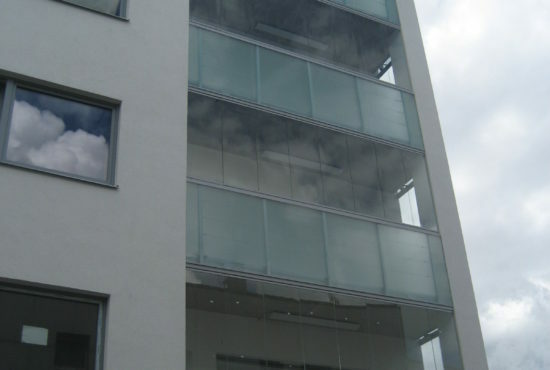 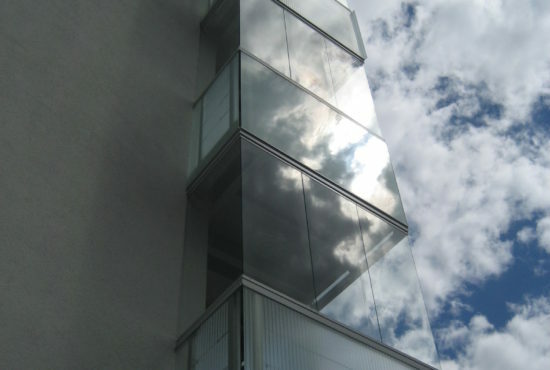 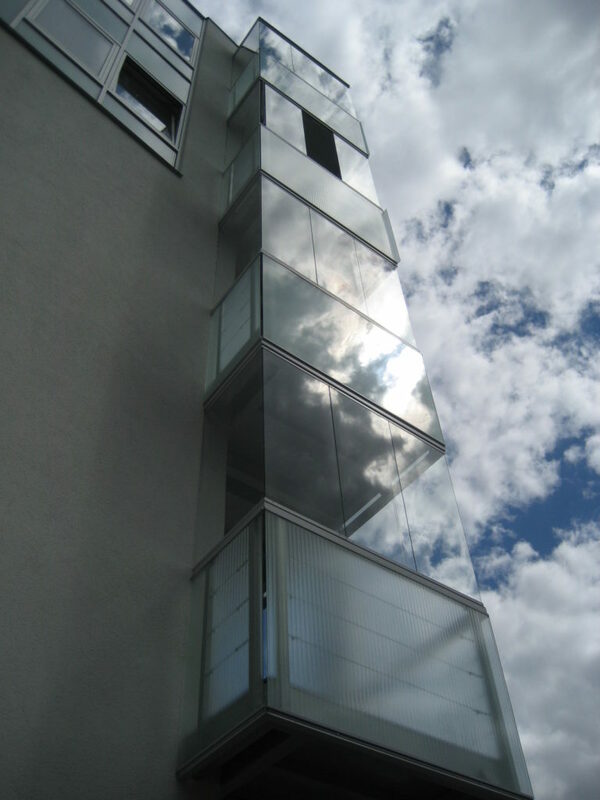 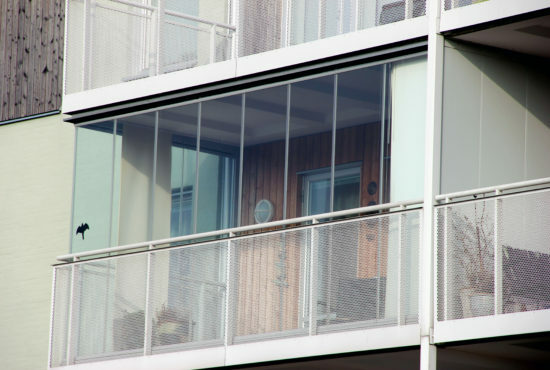 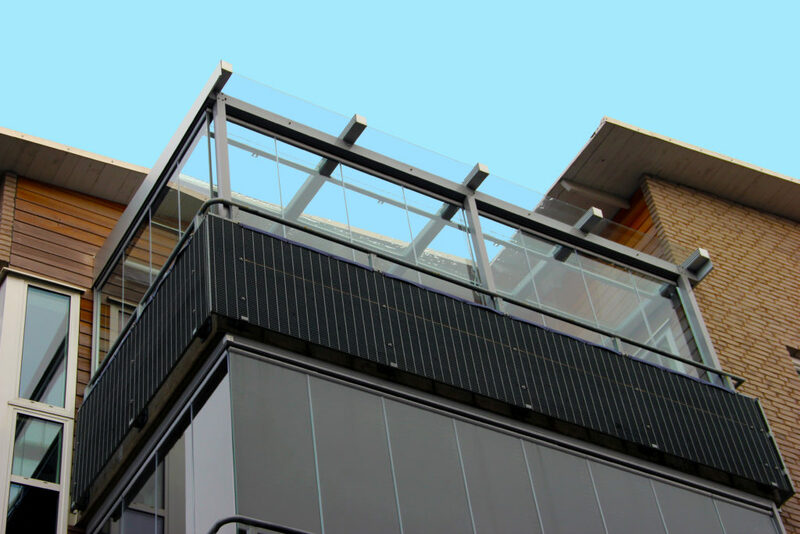 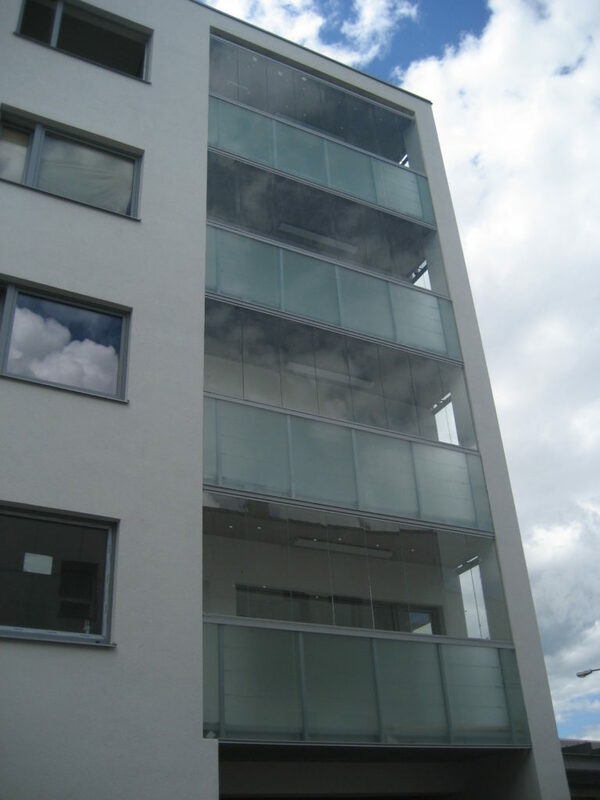 Our ingenious patented design in balcony glazing is almost invisible! 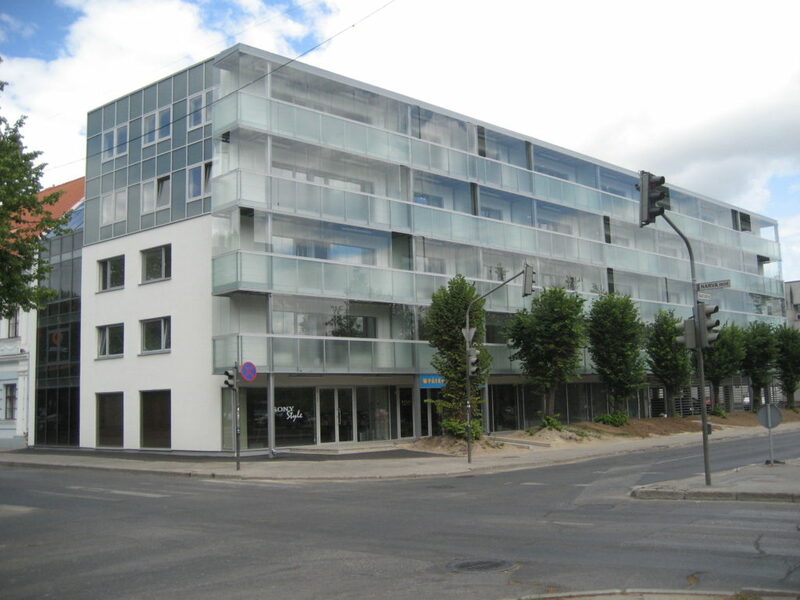 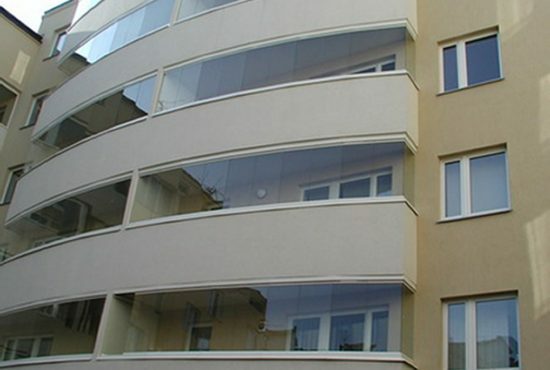 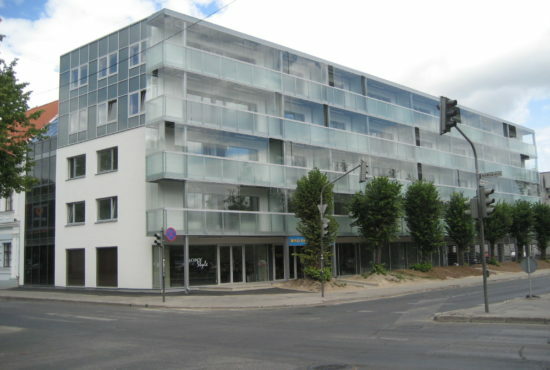 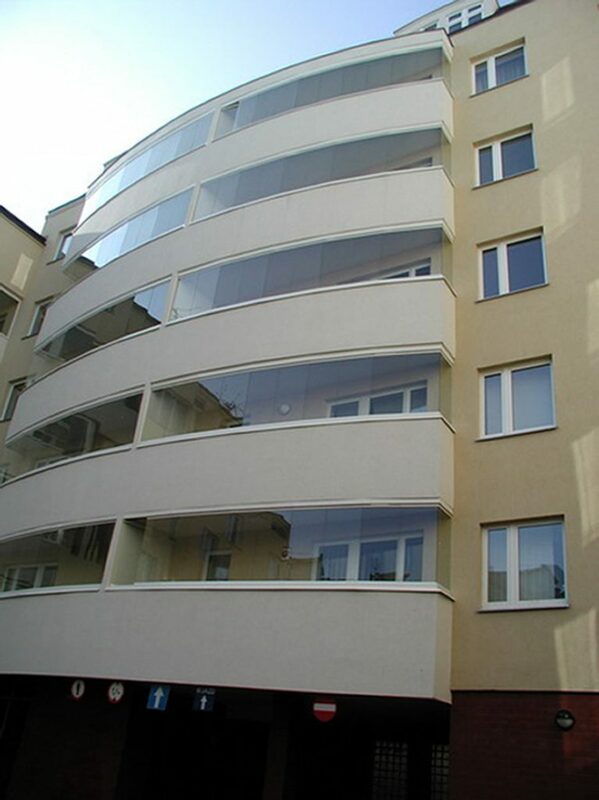 Changes in appearance of a building are minimal, wich is an important factor when there are large numbers of balconies. 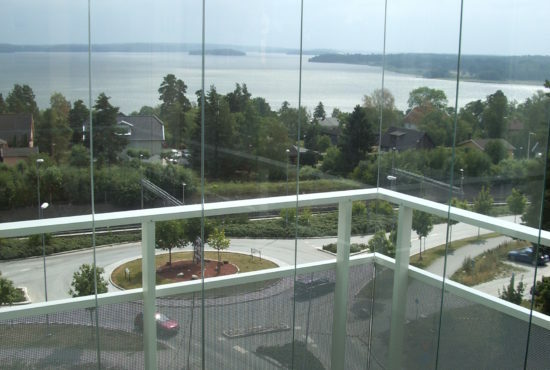 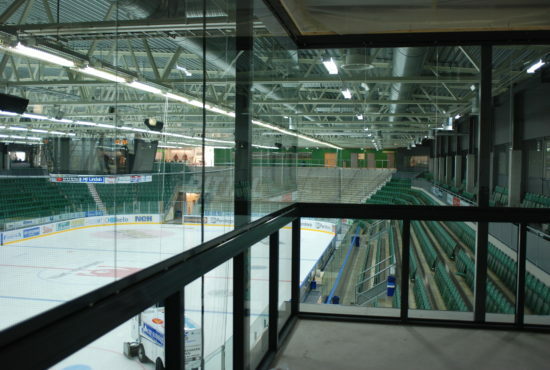 The glass panels can negotiate all types of corners, even when the glass is mounted directly inside the guard rail. 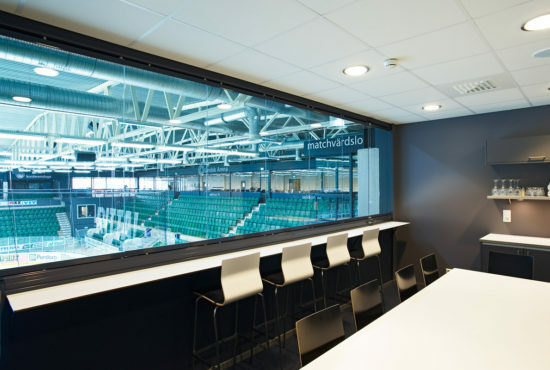 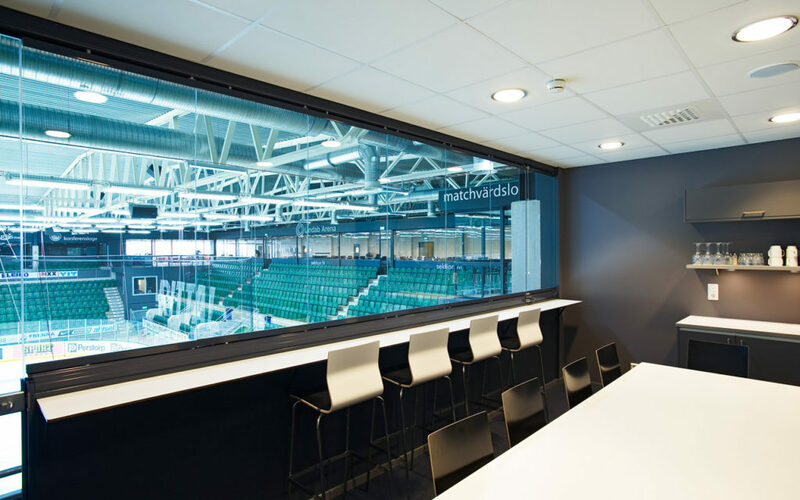 You can even slide the glass panels around the corners of the balcony, letting you open up the whole system with one resting place of the glass panels!